How Much Encryption Do I Need? Posted July 20, 2016 by Pete & filed under Security. Encryption is a very important factor in our digital lives. It is something we encounter every day, whether we realize it or not. For companies that store our private information, it is extremely important that no one else has access to the data. However, for individuals, convenience may outweigh the added security in some instances. Encryption is a way of storing or sending information securely. By securely, we are referring to the encrypting of the data. Encryption doesn’t mean the data can’t be accessed, but rather, if it does get accessed, it won’t be readable. Think of someone writing a message on a plate, then painting over the message and breaking the plate into millions of tiny little pieces. If someone gets the plate, they will have no idea what the message says. However, when you give the broken pieces to the person that is supposed to have it, the plate gets magically put back together with a key. This is, of course, a very simplified explanation. Posted April 26, 2016 by Pete & filed under Security, Support. Information security is a technical discipline that’s highly in-demand among organizations nationwide. As CIO.com highlights, there is a severe cyber-security talent gap in the United States due to a lack of training among information-technology, or “IT,” professionals and the emerging nature of the field. With a 38-percent increase in information-security incidents over the past year, companies nationwide are scrambling to bolster their in-house security talent. Regardless of whether your company is considering training existing IT talent to assume security roles or hunting for external talent, it’s wise to consider non-technical skills that benefit security professionals. Adaptability, a proactive attitude and other attributes can be every bit as beneficial to a talented tech worker as experience with firewalls and file-integrity monitoring. Join us as we review five non-technical skills that both experienced and newly hired, information-security experts should demonstrate. Posted April 6, 2016 by Chris & filed under Cloud, Colocation. Once upon a time, there was a server room that was just too full of servers. It gave off a lot of heat, used too much power for cooling and just didn’t serve the company the way it used to. On top of that, it needed too many people to keep it updated. The system administrator didn’t know what to do. He needed a solution… fast. Is this story more than a fairy tale? This situation was all too familiar to many companies a decade ago. Unfortunately, it still is for a multitude of start-ups, and small- and mid-range businesses. But today, a new hero has come to save the day: the blade server. The blade server is a modular solution, similar to traditional servers on a rack, except it’s been stripped down and streamlined to fit and run more efficiently. It’s much like a memory card that fits into one of the mother board slots, but condensed to house only the essentials in the card itself. Because of this, the blade server needs a special blade system to power and cool it, as well as provide networking and management capabilities. Even with these specialized systems, up to 128 servers will fit on a 42U rack, as opposed to 42. That’s up to 1,440 total servers per full rack, which saves lots of space. Posted March 16, 2016 by Chris & filed under Support. Unless you’re a tech professional, you probably don’t think much about operating systems. You use Windows or OS X depending on whether you’re a PC or Apple user, and you likely have Android or iOS on your phone. Yet there’s another operating system — Linux — that plays an increasingly important role in your life, whether you know it or not. Chances are, you already use Linux every day. Most of the Internet is powered by computers running Linux, so every time you check your email, update your status or do an online search, you use Linux. High-tech giants, including Google, Facebook and Amazon, use Linux internally to provide the services that make them household names. “Smart” devices in your home, from your computer’s router to web-connected thermostats and security cameras, use versions of Linux. The remarkable ability to work equally well in very large and very small environments sets Linux apart from its Microsoft and Apple counterparts, which are relatively limited, “one size fits all” products. 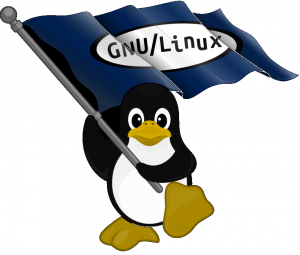 Linux is one of the best-known examples of open source software. The creators of open source software make its code readily available, so anyone can view it, improve it or adapt it to new purposes. In the case of Linux, thousands of programmers, most of them professionals working for large companies such as IBM, Intel, Samsung and Google, contribute code every year. It’s a fine illustration of the old adage that “many hands make light work,” and accounts for Linux’s versatility. Posted February 18, 2016 by Chris & filed under Cloud. The average cost of an information security breach is now $3.8 million, with an average estimated cost of $154 per stolen record. As the landscape of cyber crime changes, companies are at risk of both a higher volume of attacks and more sophisticated cyber criminals. For organizations considering cloud hosting, understanding the security pros and cons associated with public and private cloud is essential. Join us as we review five recent information security facts and statistics that can shape your decision about the cloud. While public cloud may offer the potential benefit of cost savings, companies must determine whether increased risks offset this benefit. Posted February 8, 2016 by Chris & filed under Datacenter. Wondering what that RU means on the side of the server box? Trying to figure out if you have enough space for the IT department? 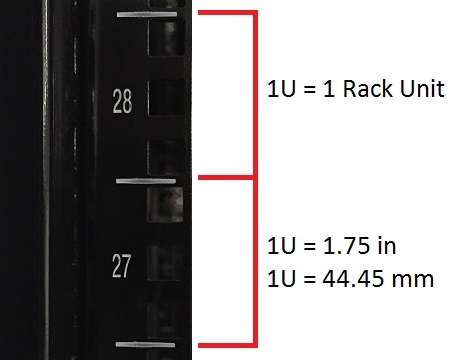 This primer on rack units will help you understand what a rack unit is and what you need to know about dimensions, capabilities and how to use rack units to your advantage. When you see the word “rack unit,” two things probably come to mind: a metal shelving unit and units of measurement. You’re on the right track, because both of these are correct. While a rack unit (RU or simply U) is technically the term for a unit of measurement, it only pertains to the height of the space (and the equipment) on a shelving rack designed for electronic equipment. The term is a standard measurement that comes from the Electronic Industries Alliance. It’s used on a variety of rack mount electronic equipment used for audio/visual, computing and information technology purposes. Servers and network switches are the most common devices measured in RUs. And on and on. Why do you need to know this? That’s where the racks themselves come in. In order to plan your usage of space, you need to know how many rack units you need. Or if you already have racks in use and you’re expanding, you need to know how many rack units you have left on your existing racks. Posted January 26, 2016 by Chris & filed under Datacenter. It’s a well-known fact that succeeding in today’s business environment is becoming increasingly competitive and difficult. Businesses small and large can succeed with the right tools, but finding the right tools can be difficult in such a flooded market. With the recent media coverage of disasters both natural and man-made, companies worldwide have been increasing their investments in an entirely new place: highly secured storage systems and data centers. Companies are finally starting to realize how much of their business assets are digital data, data that can be lost in an instant costing thousands if not millions of dollars. Websites are just as crucial as internal data, if not more so. Every year more and more companies choose Cyberwurx to safeguard their digital property in a secured datacenter. What exactly is a datacenter? A datacenter is a facility that allows for storage and management of all the servers and other computing equipment important to your company in a precision-controlled environment. Many larger companies have entire warehouses dedicated to this purpose. Large buildings that are climate controlled with backup generators and redundant Internet backbones. Unfortunately for small and developing companies the initial high investment required to acquire an entire facility and equipment is simply non-existent. In addition to these high initial material costs, datacenters require a large staff of experienced technicians and engineers, another unavailable resource. What is IPv6 and How Will it Affect Server Implementation? Posted January 17, 2016 by Chris & filed under Infrastructure. If your business is like most, the ever increasing importance of data has presented a new set of challenges. As information can be processed faster, a swifter response to rises or declines in sales numbers is possible. Operations can be adjusted accordingly in a shorter time, but one thing has not changed – the concern for security. Data corruption and a host of issues of the technological era, like viruses, spyware, and data theft, can be a major concern for your business, while traditional maladies such as equipment failure, natural disasters, and fires are still a threat to in-house data resources. With our colocation packages your data can be safely stored elsewhere, and there are many advantages to choosing this method over others. Posted January 11, 2016 by Chris & filed under Datacenter. Cable management is often an arduous task. While it can take a concerted effort to keep cables organized during installation or upgrades, the time spent on avoiding “cable spaghetti” can have long term benefits on both the user-friendliness of your cabinets, as well as your sanity. When beginning your buildout, try to keep in mind the wires that connect your hardware to the network are what keep you up and running. Tangled cables can lead to accidental server downtime when your technicians service equipment in a poorly-managed server rack. Even without such a critical issue, longer processing time on service requests due to difficult cable tracing can become a problem. Also, a severe tangle impedes optimal airflow, and can impede heat dissipation and cause hotspots. 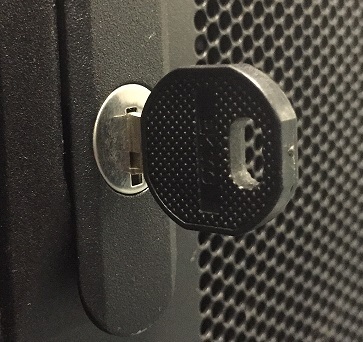 Even outside these critical issues of server functionality, the appearance of the cables in your cabinet can leave an important impression on the professionalism of you or your company. The aesthetics of properly managed cables does have a significance in the technical community. Thankfully, there are many tools that can help you keep your cabinet cables uncrossed, and other techniques to help you know where your wires begin and end. Posted August 8, 2015 by Chris & filed under Colocation. There are quite a few things to consider before choosing a datacenter for your equipment and hosting. The quality of the environment, the redundancy and reliability of the utilities, the quality of the technicians and staff, and the location; among other things, these are points on which to make your final decision. Choosing a place to colocate or host data is a big decision that will affect your company in both the short term and the long term. If you compare these preliminary choices to the ones you will have to make once you begin to settle in, they may seem like small details when planning out the possible options you’ll have as time passes. Ultimately, your build-out plans will influence your business’s future, in regards to its relationship to the internet. Having a game plan for your growth in terms of hardware is imperative to smooth, reliable service for your customers, and ease of maintenance for the technicians responsible for your equipment. Expense can also be minimized by having a firm vision for expansion. In a way, this sort of planning can be likened to chess, as it is to your advantage to perceive what your next steps will be, and the possible paths that can diverge from there. Do you know if you will need a full server rack, or more than one? What is your total capacity per rack, what type of servers will you be placing in those racks? The delineation of directions to go in can be overwhelming if addressed last minute. Your control over your growth is best managed by looking ahead.